For many cinephiles, the arrival of a new film from Paul Thomas Anderson is always cause for celebration. After months of anticipation, his Thomas Pynchon adaptation, Inherent Vice, is almost here. (It’s already opened in limited release, and had one sneak-peek Chicago showing.) Inhabiting the role of stoner P.I. 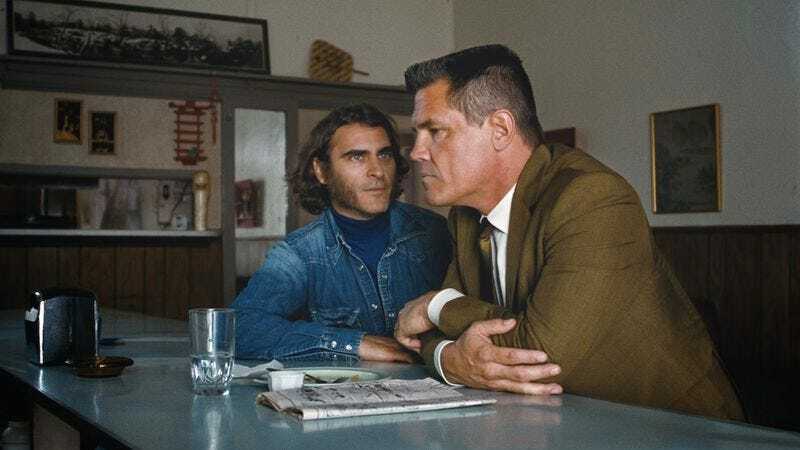 Doc Sportello, Joaquin Phoenix shows off his comedic chops (and mutton chops) alongside an eclectic cast featuring Josh Brolin, Reese Witherspoon, Owen Wilson, Benecio Del Toro, and more. Inherent Vice opens in Chicago on January 9, but, if you simply can’t wait any longer, The A.V. Club has a chance for you to attend a free screening on January 6. To win a pair of passes, follow the link here and enter code AVCIV0106LCC. As always, seating is first come, first serve, so arrive early. You can find an official synopsis and trailer below.